View More In Game Finders. If you have any question,please feel free contact us. Package Includes:1 X Camera, 1 X AV Line, 1 X USB Cable,1 X Instruction Manual, 1 X Remote Control. 【Wide Use】:The use of a wide range, you can use it to hunt, get the joy of harvesting prey; you can also use it to Plants monitoring,Garden Sarveillance,Guard against theft,Animal tracking. 【Day & Night】:Can be used during the day and night(black and white at night),shoot a clear photo or video.1S fast trigger speed,get full moving track of object. 【Wide Range & Long Use】:Up to 20 meters Infrared night vision distance,120 Degrees wide Infrared motion detection angle,can detect animals in a wide range.You can use four or eight AA batteries(not include) as a power source, which consumes ultra-low power and can be used for a long time. 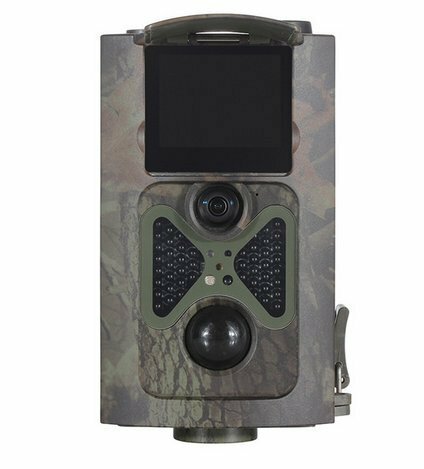 【Security】:When the camera is working,it never produce a bright flash which makes this outdoor hunting camera a stealthy unit that does not intrude into the natural habitat.Similar to the appearance of the bark, it makes it less noticeable.You can set Security Password. 【Support】:Support SD card,up to 32GB,IP54 waterproof function,hunting camera can work under extreme temperatures of between -10°C to 70°C which makes the camera perfect for safe & outdoor use. If you have any questions about this product by HKCYSEA, contact us by completing and submitting the form below. If you are looking for a specif part number, please include it with your message.